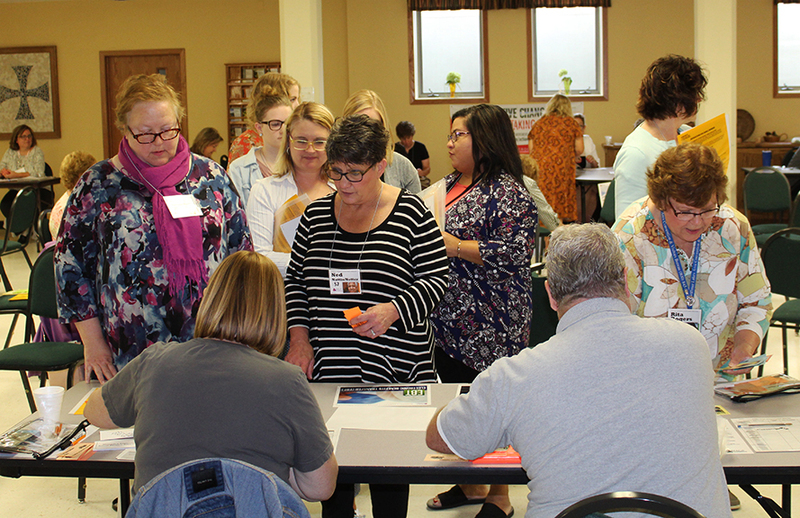 A poverty simulation was held on Thursday, September 13 at Trinity Lutheran Church in Crookston. The event was sponsored by Polk-Norman-Mahnomen Community Health Services, including Polk County Public Health and Norman-Mahnomen Public Health, and Tri-Valley Opportunity Council, Inc. The simulation was facilitated by Minnesota Community Action Partnership (MinnCAP). 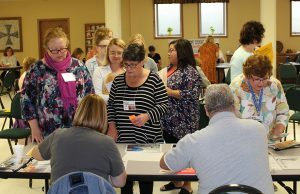 The poverty simulation tool was utilized since decreasing persistent poverty is one of three Polk-Norman-Mahnomen Community Health Improvement Plan (CHIP) priorities. We know that poverty level is one of the most critical characteristics that contributes to the number of people experiencing preventable chronic diseases. The collaboration between agencies allows communities to solve problems that cannot be solved, or easily solved, by single organizations. A poverty simulation is designed to help participants begin to understand what it might be like to live in a typical low-income family. The object is to sensitize audiences to the realities faced by low-income people. In the simulation, participants assume roles of up to 20+ different families facing poverty. The task of the families is to provide for necessities and shelter during the course of four 15-minute “weeks”. Throughout the event it is stressed that it is a simulation, not a game and those involved should take it very seriously. If you would like more information on the poverty simulation, please contact Leah Pauletti at leahpauletti@minncap.org.